It's hard not to love a place that states its unhealthy intentions right in the name, or that slides little cookies onto your milkshake straw. And sure enough, people have been struggling in vain to resist Potbelly's pull for the past 40 years. While you probably know the Wreck inside and out, you might've missed the chain's coded messages and anti-afro crusades. We're here to fill in the gaps, so just sit back and allow us to educate you on the most important child of Chicago since Abe Froman. Sadly, oatmeal chocolate chip cookies are not included in this presentation. 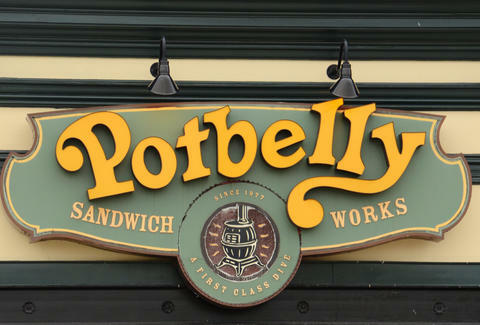 The first-ever Potbelly began as an antique store in Chicago in 1971. Business was going well enough, but when owner Peter Hastings had the bright idea to serve lunch to his customers (because nothing goes together quite like subs and dusty dressers), he got an overwhelming response. Six years later, the place reopened strictly as a sandwich shop. 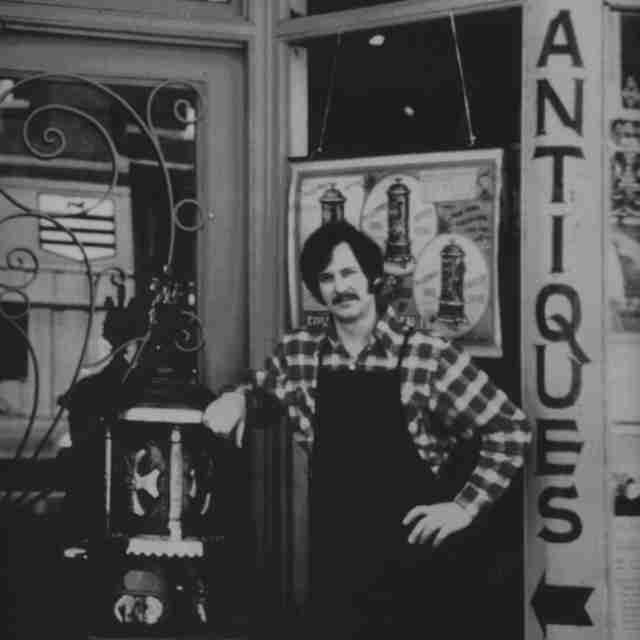 Hastings christened it Potbelly in honor of the old potbelly stove he held over from the antiques collection, and not in honor of the havoc he would later wreak on your waistline. 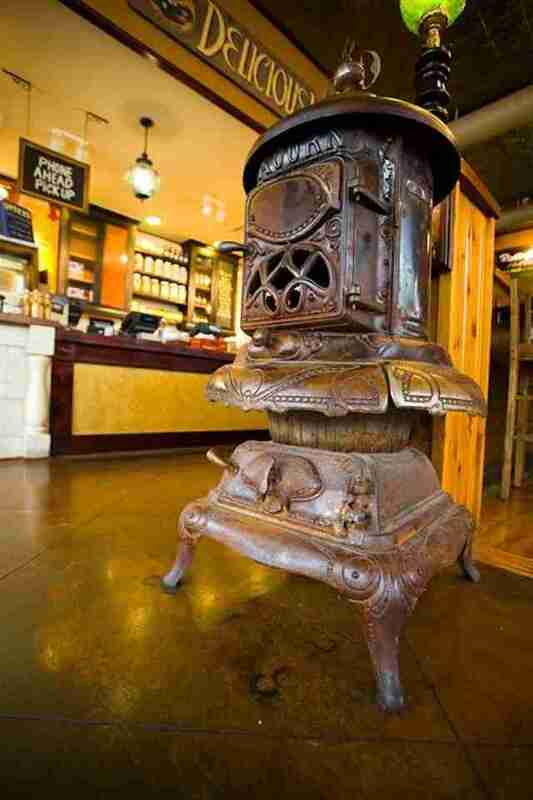 The love for old-timey kitchen appliances has stayed alive throughout Potbelly's four-decade run, and today they confidently claim to be the world's largest collector of antique stoves? 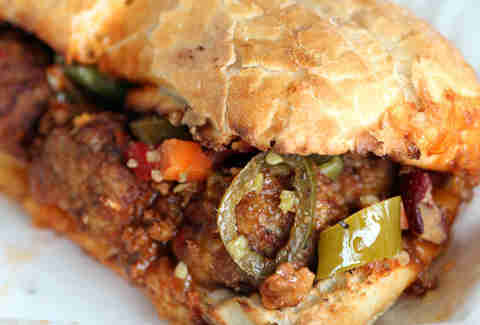 You can find a beautiful relic in every Potbelly location -- just don't try to reheat your sandwich in it. 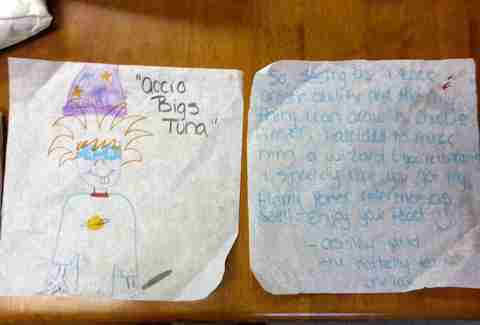 Potbelly has handwritten messages scrawled inside all the stores, only these aren't the kind that direct you to the next Illuminati meeting. They simply added a "P" and "H" to each location, in reference to pigs and hogs. 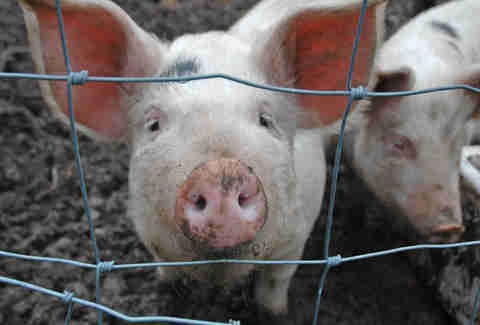 As the company's chairman Bryant Keil explains it, "Pigs get fat, and hogs get slaughtered. That just teaches everybody, 'don't skimp on serving the right amounts, don't serve a cookie unless it was baked that day. Don't do anything to cheat a customer.'" We guess that makes sense, but if you have alternate conspiracy theories on how this explains Kurt Cobain's death, please share. If you have to answer to a board of directors, you at least want to fill it with people who know what they're talking about. 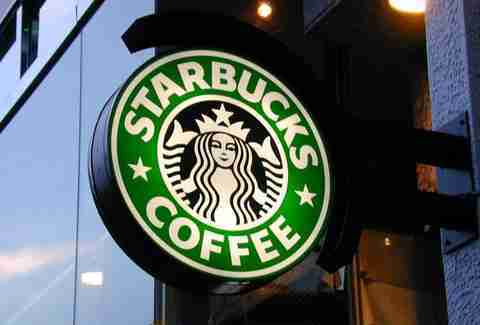 Starbucks' main man Howard Schultz certainly fits the bill, and lucky for Potbelly, he invested early on. Also lucky for Potbelly, he's shown admirable restraint in not suggesting a pumpkin spice Wreck. Nowadays, everyone has a secret menu. But while plenty of places just add an extra pepper and call it a day, Potbelly isn't messing around. Their menu has two shakes, a sundae, an ice cream sandwich, and 11 dreamy sandwiches. One of them is obviously the Elvis, but other picks include the Chicken Cordon Bleu, the Cheeseburger, and the Lucky 7 -- which is a Wreck and an Italian, united in holy, meaty matrimony. Subway likes to call their workers "sandwich artists", but only Potbelly employees truly live up to that title. While this illustrated advice for a Father to-be is pretty solid work, we're especially taken with this masterpiece, which improbably combines Harry Potter with the resident Rugrats ginger. 7. There are hundreds of "Potbelly Musicians"
One of the ways Potbelly has maintained its neighborhood sandwich shop cred over the years is by welcoming local performers to play sets during lunchtime. Their current directory of musicians is kinda staggering, and while no one's become the new Billboard sensation yet, it's only a matter of time before Simon Cowell goes scouting during an important Pizza Sandwich run. Well, they at least pick up lunch for their staff there! 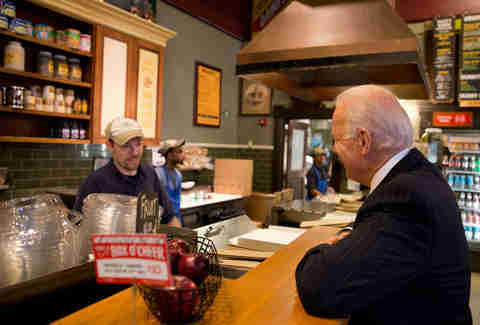 Joe Biden stopped by a DC location last January for some sandwiches, specifically shouting out the meatball with provolone. He didn't wear aviators while placing the order, though, so we guess those are just for ice cream breaks. Potbelly's pledge is to get you through the line in eight minutes flat. That's pretty excellent sandwich service, and gives us an idea: could the Potbelly's brass please share their secrets with the Krampuses who run the DMV? For too long, restaurants have been forced to professionally declare themselves Team Coke or Team Pepsi in the cola equivalent of a Twilight fan fight. But Potbelly boldly refused to take sides when they announced their Potbelly Choice program early last year. 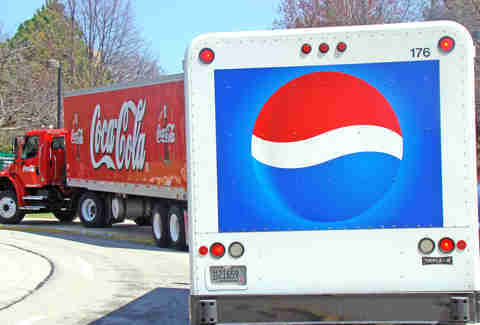 The set-up puts Coke and Pepsi products in the same fountain, marking the first step on the long road toward ending this soda civil war. 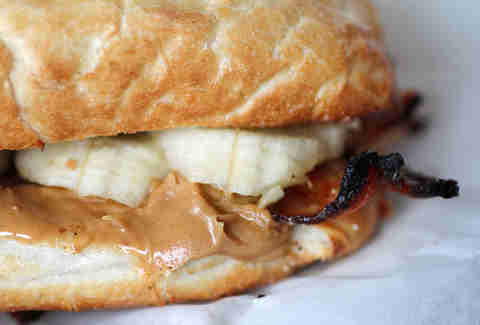 While the multigrain stuff has honey (making it non-vegan), the regular bread at Potbelly is completely vegan-friendly. Of course, basically nothing else on the menu is, but hey, it's the thought that counts. Kristin Hunt is a Food/Drink staff writer for Thrillist, and still has fond memories of the Potbelly meatball sandwich she ate on a high school field trip to DC, long before Biden caught wind. Follow her at @kristin_hunt.